We believe that insights and discoveries gained from satellites have vast potential to improve the human condition and safeguard Planet Earth for future generations. Satellite data can enable advancements in areas as diverse as communication, agriculture, ecology, conservation and navigation. But today, launching satellites into space is still extraordinarily difficult. With long wait times, high price tags and costly delays, satellites that belong in space are instead stuck here on Earth. Our mission (and we’ve chosen to accept it) is to make access to orbit as routine as catching a commercial airline flight is today. 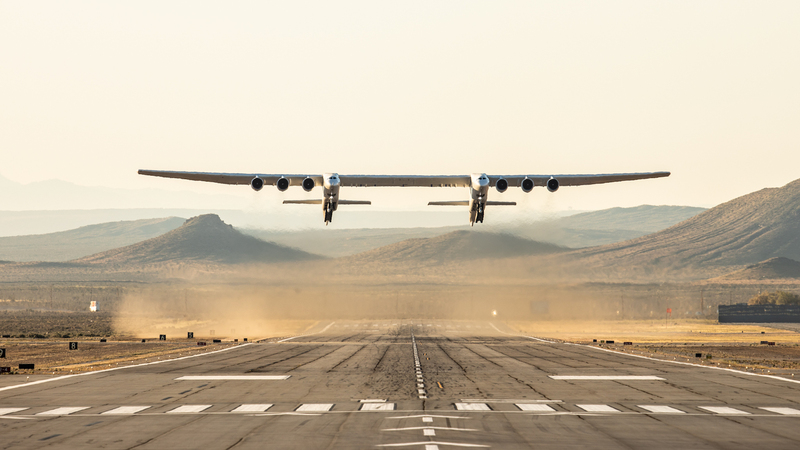 Founded by Paul G. Allen, Stratolaunch uses a unique air-launch approach to deliver payloads to multiple orbits and inclinations in a single flight, which means better access to space for the world’s problem solvers. What if space launch were as easy as catching a flight? Find out how airport-style operations can cut your contract-to-orbit time from years to months. With Stratolaunch, you can launch when you are ready.